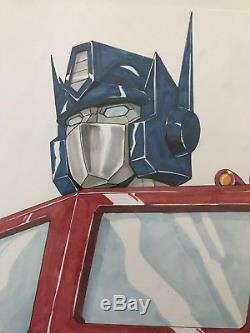 Optimus Prime color art commission by IDW/Transformers artist Dan "The Man" Khanna. 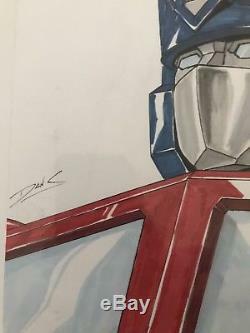 Dan really is the man when it comes to Transformers art. 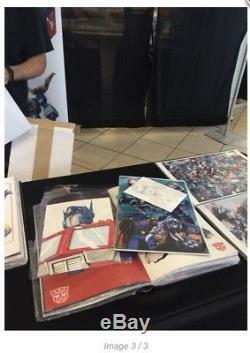 He works for IDW as an artist for various Transformers as well as GI Joe comic. He also produces art for Hasbro for Transformers action figures. This piece was done in ink and copic markers on a Bristol board. Measures approximately 9" x 12". Acquired at the Free Comic Book Day event on May 6th, 2017 at the Hamilton Mall in Mays Landing, NJ. Will be bagged and boarded as well. 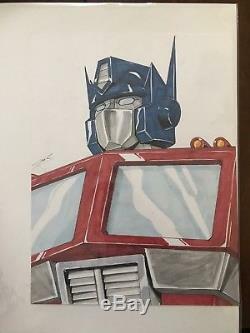 The item "Optimus Prime Original Art Commission Sketch By Dan Khanna Transformers COA" is in sale since Thursday, August 10, 2017. This item is in the category "Collectibles\Comics\Original Comic Art\Drawings, Sketches". The seller is "thecollectornj" and is located in Absecon, New Jersey. This item can be shipped to United States.